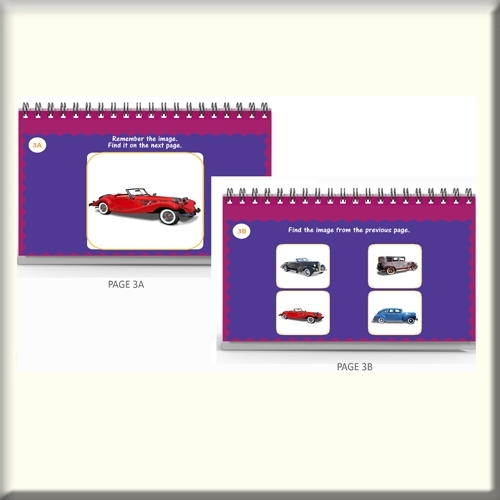 The object of the activity is to remember the image(s) on the first page and then find the image(s) on the next page. Images become more challenging through the book. Each book is spiral bound and 8.5” x 5.5”. It engages the memory and the mind - memory recall is an excellent exercise for those with demetia. Engages the mind to remember images from the previous page.